The major changes in the makeup of the Pelzer town council at the last election has since resulted in a dissolution of a cooperative arrangement between the town and West Pelzer. 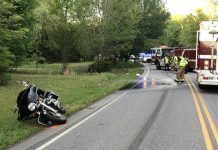 The merging of the two towns’ administrative and public works departments lasted just a few months before the Pelzer town council voted to terminate the agreement. 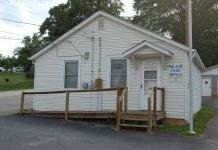 Since the termination, Pelzer has employed a town clerk and a maintenance man, as well as hiring Goldie & Sons to operate the town’s water and sewer systems. But more than a year before the cooperative agreement was dissolved, the towns had been on the verge of officially consolidating the two towns into one. The movement towards consolidation began fairly modestly, according to documents obtained by The Journal under the South Carolina Freedom of Information Act (FOIA). In a brief e-mail from West Pelzer Mayor Blake Sanders to then Pelzer Mayor Steve McGregor dated February 14, 2017, Sanders mentions the 55/45 ratio of shared costs under the cooperative agreement. 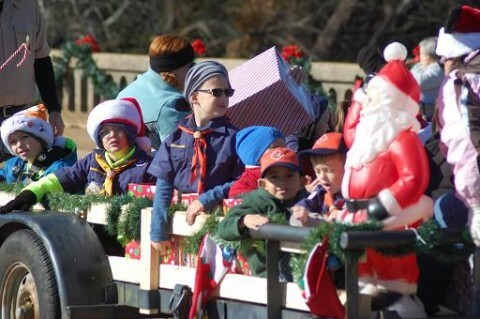 The numbers predicted an annual savings of $44,000 for Pelzer and $39,000 for West Pelzer (both figures rounded to the nearest thousand). In the text of the e-mail, Sanders refers to the tremendous savings for both constituent bases. He calls the proposed cooperative effort a “step towards unification of two towns/ one community” and calls it the start of something great. By May 11, Sanders had produced an ambitious timetable for consolidation that he sent to McGregor for review and comment. 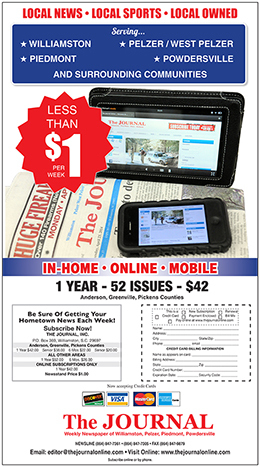 According to that timetable, on May 23, a newsletter was slated to be mailed to all residents of the towns, announcing a public meeting on June 1, and explaining the benefits of consolidation. A similar meeting was scheduled for June 6 at the WPFD. On June 19, a special called joint meeting of the two town councils was to be held, including first reading of the consolidation ordinance. That meeting was to be followed by a public hearing at the Pelzer auditorium to receive public comment. Both town councils were to be present. And on July 27, second and final reading of the ordinance was to take place. The ordinance itself was an ambitious one. 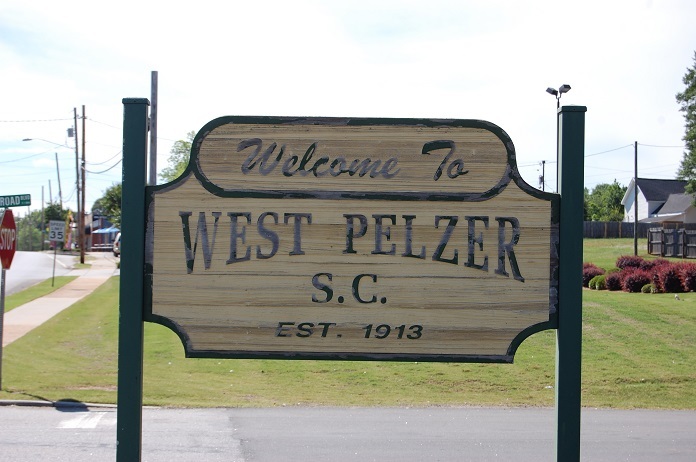 It would have expanded the Pelzer corporate limits to include all of West Pelzer . 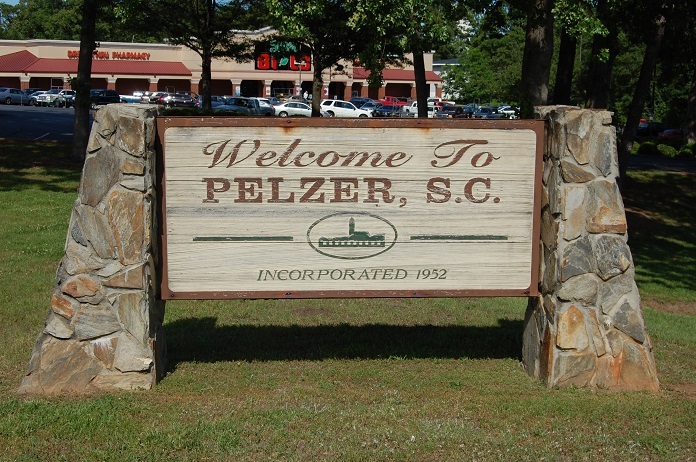 The newly consolidated town would be known as Pelzer. The mayors would serve jointly and the councils would be commingled until an election to be held in 2019, when the new town would be divided into four Council districts. The terms would be for four years, as would the term of the office of Mayor. Since it was deemed appropriate and beneficial to have Pelzer initiate the action, Mayor McGregor prepared a newsletter that announced the June 1 meeting, and listed some of the benefits of consolidation. Among those benefits was a claim that water bills could be reduced; tax savings of $300 a year for those over 65 years of age; a refund of the municipal portion of taxes on boats, vehicles and campers; and for homeowners under 65 years of age, monthly savings greater than the annual tax burden. 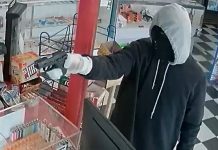 The letter also promised immediate enforcement of ordinances, a reinstatement of the town’s recreational programs and police protection around the clock. Mayor Sanders, in an interview with The Journal recently, confirmed that the town was prepared to hire two additional police officers, as well as extra public works employees. Momentum was building. Sanders said he and McGregor were enthusiastic as were the town’s mayors pro tem, Jimmy Jeanes and Roger Scott, as well as both town clerks. Scott has said that he never saw the actual draft ordinance, but the paper trail obtained by The Journal indicates that he was certainly included in the discussion about consolidation. Sanders and McGregor crafted the ordinance in order to have a document to present at the scheduled public hearing. Then the draft of the ordinance was presented to the town attorneys and a strong wind of caution blew into the process. Both town attorneys raised serious concerns about the speed with which things were moving. In an e-mail dated May 12, from attorney Jimmy King to McGregor, King mentioned a number of concerns about the proposed ordinance. He stated plainly that the towns were “moving at the speed of light when we should be moving more like the tortoise.” He added that he knew of no law that would allow the merging of the two town councils, or the implementation of a dual mayor arrangement. He also questioned the two towns’ authority to arbitrarily postpone the 2017 general election for two years. The absence of a municipal tax in Pelzer posed problems, as well as the existence of zoning in West Pelzer. The shifting of the RDA loans from Pelzer to the new town also concerned both attorneys. King opined that approval of such an arrangement should be obtained from RDA in writing. The result was that the wind came out of the sails of the consolidation drive. 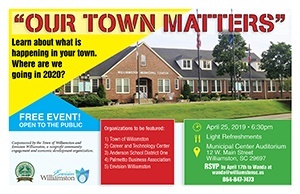 Two months later, the waters were muddied further when Williamston Mayor Mack Durham made his pitch to Pelzer touting his town’s ability to address many of the issues facing Pelzer. In the three page correspondence, titled Making Pelzer Great Again, Durham mentioned Williamston’s ability to absorb Pelzer’s debt load more easily due to its greater population. He boasted that the town’s public works department was much larger than Pelzer’s, and a very professional department. He promoted the ability of Williamston to immediately provide round the clock police protection, as well as the existence of a municipal court and judge. Any chance for consolidation in the foreseeable future died with the November 2017 general election. Scott won the mayor’s office, which was vacated by McGregor’s decision to end his twenty one years of involvement in municipal government. Three new Council members were elected, joining the lone incumbent, Olene Bear. All three of those members had made their opposition to any effort to merge with Williamston a key part of their campaigns. Since their swearing in, the new Pelzer Council has voted to terminate the cooperative agreement with West Pelzer on the operation of the two towns’ public works systems, making any potential consolidation even less likely.